** Combine all the ingredients in a bowl, except for the vinegar. ** Transfer the mixture to a Mason jar. 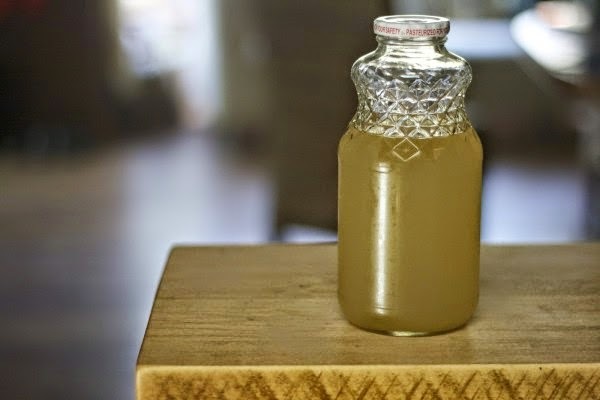 ** Pour in some apple cider vinegar and fill it to the top. 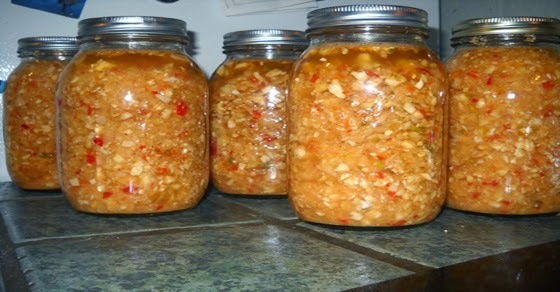 It is best if 2/3 of the jar consist of dry ingredients, and fill in the rest with vinegar. ** Close well and shake. ** Keep the jar in a cool and dry place for 2 weeks. Shake well several times a day. ** After 14 days, squeeze well and strain the liquid through a plastic strain. For better results put a gauze over it. Squeeze well so the whole juice comes out. ** Use the rest of the dry mixture when cooking. ** Caution: The flavor is very strong and hot! ** Extra Tip: Eat a slice of orange, lemon or lime after you take the tonic to ease the burning sensation and heat. ** Do not dilute it in water as it will reduce the effect. ** Take 1 tablespoon every day to strengthen the immune system and fight cold. ** Increase the amount every day until you reach a dose of 1 small glass per day (the size of a liquor glass). ** If you struggle against more serious disease or infection, take 1 tablespoon of the tonic 5-6 times a day. ** It is safe for pregnant women and children (use small doses!) because the ingredients are all-natural and contain no toxins. ** Warning: Do not use on an empty stomach, and start with a teaspoon for the first few times. It is POTENT and can cause nausea or vomiting if you are not used to it.